Sweden is an exciting place and home to islands, forests and mountains. With its great historical tourist attractions, this lightly populated country has numerous places to visit, and tourists can engage in a lot of fascinating indoor and outdoor things to do in Sweden. Travellers, however, prefer to visit the country in summer than in winter, when attractions have limited or no service. An ideal relaxing and exciting adventure for individuals or families is the ‘Huckleberry Finn’ river rafting ride. This takes place in the Klara River that wanders through the wilderness of this part of Sweden. Considered as Sweden’s mightiest, the river is 500-km long and runs from Härjedalen until the delta of Lake Vänern. Taking this raft adventure gives plenty of time to experience and enjoy seeing birds and animals while floating gently down the river. Anglers will also enjoy great fishing on the Klara, while kids can try catching perch for fun. There are trails which hikers can try; or others can just go berry picking to enjoy some quiet time. The famous Aurora Borealis (or northern lights) is one of nature’s most spectacular displays. From October to March, if weather conditions are permitting, light curtains of greens, reds and purples dance across the skies. This magnificence is best viewed in the Abisko National Park, north of Kiruna, where the presence of a patch of sky called “blue hole” seen over the lake allows a clear view of the lights even in overcast weather. Despite the cold, crisp winter nights at this time in Sweden, this is truly worth catching. 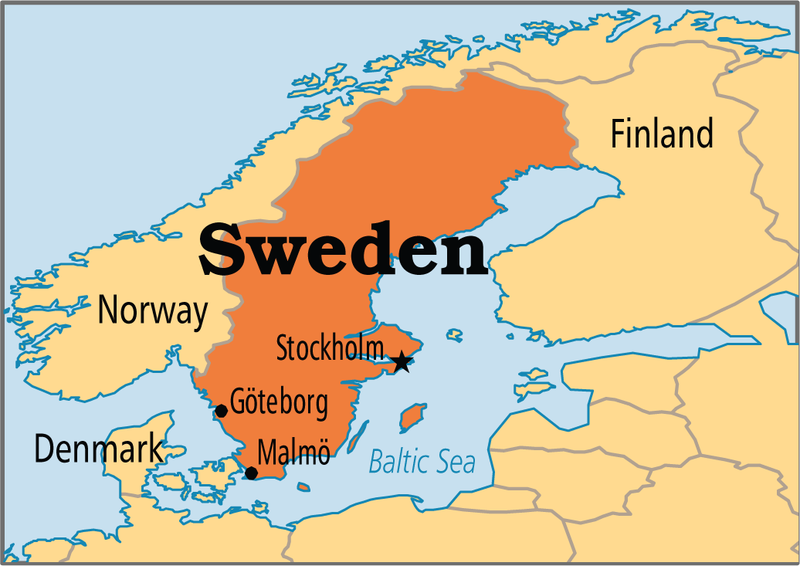 Sweden is also known for being a ski resort, where around 200 of these resorts abound. Central Sweden is home to Åre, a popular ski village. 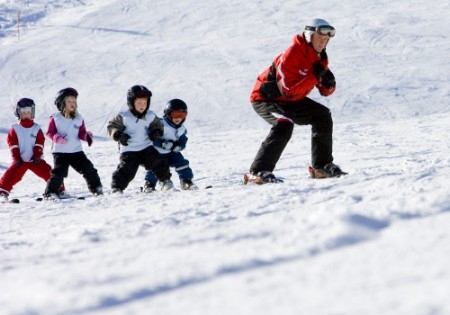 Åre, which is about 1.5 hours by plane from Stockholm, provides the most popular downhill skiing slopes, myriad courses, off-piste slopes, downhill slopes and family-oriented bunny runs. There are also ski facilities in Dalarna, Jämtland, Härjedalen and Swedish Lapland where one can enjoy the thrill of hitting the slopes in different places. One of the things to do in Sweden that you should never miss is to spend a weekend at Jukkasjärvi, close to Kiruna, and stay in the world’s first Ice Hotel. Interestingly, the Ice Hotel, which first opened in 1990, is rebuilt each year using designs from different architects and artists using ice blocks taken from the Torne River. The hotel has an ice chapel where couples can choose to get married. One can also get close to nature by sleeping in the natural igloo carved from frozen waters of Tännforsen, Sweden’s strongest waterfall. Part of the hotel’s charm includes doing winter activities in the area and distinct experiences like sipping chilled vodka from frozen ice glasses. Take an invigorating snowmobile ride across the frozen Kalix, Lule or Torneträsk rivers in Swedish Lapland. This ride is quite easy to navigate and doesn’t require much level of endurance as skiing or snowshoeing. It is perfect for families who want to explore the Lapland’s wilderness. After taking a plane ride to Luleå, a few days spent on this expedition takes you to frozen lakes, forests and mountains. Stockholm, the Scandinavian capital, is one of the world’s serenely beautiful cities. It rests elegantly on fourteen islands and is built where lake meets the sea. Natural attractions of the city include the vast green areas, fresh air, clean water and a lot of space to move around efficiently. Even as Stockholm prides itself with having ten centuries of history behind it, it is also widely known for notable progress and development, its sensitivity to modern trends and innovation. Ancient history and tradition combined with use of technology gives Stockholm its exceptional charm and character. Not known to many, the most fantastic part of Stockholm and Sweden is the magnificent Stockholm archipelago. The more than 30,000 islands, islets and skerries which comprise its maritime landscape are uniquely magnificent in both summer and winter. The archipelago offers endless opportunities for exploration, which is a perfect remedy to the usual urban flurry. The archipelago is accessible year-round from central Stockholm via the white archipelago boats. These workhorses, which date back more than a century old, are still steam powered. The boat ride in itself is significant because of its sense of history. Many of these boat excursions can last for a couple of hours to a day tour, or even longer with overnight stays. Gothenburg, the country’s second city, is the capital of West Sweden—one of the country’s most appealing destinations offering one the discovery of quaint network of canals, cobbled streets, spacious avenues and countless green open spaces. The city breaks come perfectly with its botanical gardens, impressive museums, intriguing food markets and a huge number of inviting restaurants. Gothenburgers are reputed to being the friendliest people in Sweden, so it is almost always a pleasure immersing yourself in their lifestyle, including the ‘café ‘culture with the traditional break for coffee and sweet bun known as fika. Swim in a Lake: Sweden has 100,000 lakes, and you are likely to find one you can call you own. Try Smorgasbord: A perfect way to enjoy Sweden’s excellent food is to eat all you can on a smorgasbord. Watch the Midnight Sun: The sun is always up in northern Sweden from the last week of May to mid-July. Experience the Sámi Culture, Lapland: The Fatmomakke village and Jokkmokk market in Lapland show the thriving culture of the country's indigenous population.